In no way related to Frankenstein – frankincense oil is one of the essential oils used in aromatherapy. This fragrant oil is extracted from Boswellia sacra tree or Boswellia carterii. It is also known as Shallaki or Salai Guggulu in Ayurveda. Possessing a number of health benefits, frankincense oil is also used to make several perfumes, skin care products, and incense sticks. According to the Bible, frankincense was one of the three gifts brought by the three wise men for baby Jesus. Mainly found in countries like Oman, Somalia, and Yemen, this aromatic oil has a history that dates back to centuries. The lemony musky smell of frankincense is refreshing, to say the least. No wonder that this oil is a favorite when it comes to aromatherapy! Frankincense and frankincense oil are known to have several medicinal properties. In ancient times, people used it widely to treat a number of health conditions. In fact, at one point in history, frankincense trade became the most lucrative trade in the world! Fortunately, modern scientists are slowly waking up to the benefits offered by this amazing resin-like natural wonder. Apart from playing a key role in aromatherapy, frankincense oil is also known for its anti-inflammatory and anti-cancer properties. Usage of Frankincense floral water can act as skin conditioner if used externally. Regular use of this natural conditioner can leave your skin soft and smooth. A blemish free skin is a dream for many. Frankincense can help in fading away acne, surgery marks, stretch marks and other types of scars from the skin, making your dream a reality. Frankincense can reduce wrinkles and fine lines by regenerating healthy skin cells. The use of this sap can keep you looking as young as feel in your heart! This is considered to be the best Frankincense skin care benefit. Application of frankincense on fingernails can strengthen weak or brittle and delicate fingernails. Frankincense, being a disinfectant, can be used to clean wounds or cuts, making way for quicker healing without leaving scars behind. Application of frankincense to warts twice a day for a couple of weeks can show gradual cure. 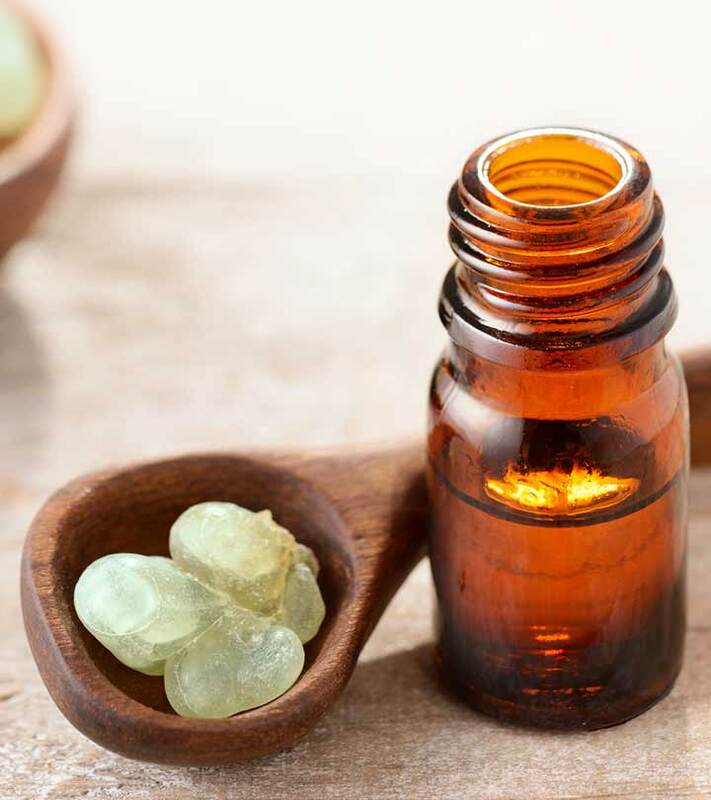 A drop of frankincense oil has the ability to reduce the swelling caused due to insect bites. It also helps in quicker healing. If you are unhappy with your hair, frankincense can be the answer to your prayers! Almost all essential oils, including frankincense, can provide relief from dandruff if used regularly. You can use only frankincense oil or mix it with some myrrh to get hair that shines with health. You can use these two as a styling gel and get amazing results. Frankincense oil is known to make the hair roots stronger, putting a stop to hair fall and giving way to healthier hair. Joint pains and other pains caused due to inflammation can be relieved using frankincense oil. Stress has a part and parcel of modern living. But you can use frankincense oil as perfume or apply it to the temple, whichever is convenient, to get relief from stress. Frankincense helps in circulating blood to the affected area and helps in relieving muscular pains. It is mainly helpful for people suffering from rheumatism. Direct application of frankincense on the affected area results in gradual relief from itching. Lifting heavy weights, pregnancy, bad posture — all these can cause severe back pain. If you are suffering from back pain, you can get relief with the application of frankincense oil on the affected area. Application of frankincense directly or intake of it in the form of a capsule can help in providing relief from inflammation. A weak immune system equals falling sick frequently. Intake of frankincense capsules and application of frankincense oil at the bottom of the feet can strengthen one’s immune system, enabling one to live a healthier life. Though it makes the eyes water, the application of frankincense around the eyes, cheekbones, and brow bones for a couple of months can help in enhancing your vision. Rubbing the palms together with one drop of frankincense and by placing these palms over opened eyes for less than five minutes every day can provide relief from several visual problems. Regular application of one to two drops of frankincense oil on the temple and back of the neck can improve one’s concentration. With many documented cases, frankincense has proved itself as an anti-carcinogenic and can be used to fight cancer. This is considered to be one of the best frankincense benefits for health. The gum resin extract of this herb is rich in anti-inflammatory properties. Boswellic acid present in Boswellia prevents healthy tissues from breaking down. Thus, it harnesses the inflammation and pain experienced due to rheumatoid arthritis. Studies suggest that this is one of the most sought after rheumatoid arthritis drug, next to the NSAID – ketoprofen. This herb also strengthens the connective tissues, thereby improving the supply and flow of blood to the affected region. This, in turn, helps in easing down the inflammation and pain experienced at the site. You can either use this in the form of tablets or powder or just apply as a poultice on the affected region for the benefits. This herb is an effective cure for osteoarthritis. Various studies have been conducted on the efficiency of shallaki and Cox-2 inhibitors. And, as per the study, it was revealed that even though it required a longer duration for the herb to work effectively, the results lasted even after the herb was discontinued. The case of Cox-2 inhibitors is different. The results are visible faster, but it was noticed that the effect lasted only till the moment the drug was in use. Plus, there were no side effects found when shallaki was used while the latter gave rise to constipation, upset stomach, diarrhea, and even gastric bleeding. Frankincense is known to offer relief to those who are victims of chronic asthma. Studies conducted on the effectiveness of this drug to cure asthma suggest that regular use is known to ease the symptoms of asthma and lower the rate of attacks. However, more studies are required to assess whether this drug can be used for a longer duration. Research prove that Sallai Guggulu contains certain elements that possess the ability to obstruct the functioning of leukotrienes. Leukotrienes are produced by the immune system of your body in events where the body comes under the provocation of a negative reaction within the body. These, in turn, cause irritable bowel syndrome and inflammation associated with it. Studies suggest that regular use of Boswellia can help in lowering such inflammations, offering relief from IBS. It is also known to have a positive impact on Crohn’s disease as well as ulcerative colitis. Shallaki is a rich source of guggulsterones. These elements are known to aid in weight loss. It stimulates the thyroid, normalizing its functioning. This, in turn, aids in losing weight. Studies conducted on mice under lab conditions suggest that regular ingestion of this herb aids in fat loss. 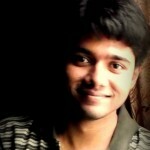 However, more research needs to be conducted and that too on humans to ascertain its power. Nevertheless, it is quite a safe weight loss supplement when compared to the other over the counter weight loss drugs. Frankincense is known to lower the cholesterol level and triglyceride levels and keep them under control. This, in turn, safeguards the heart from various medical conditions inflicted by high cholesterol levels including atherosclerosis. This herb is known to possess aspirin-like properties. This, in turn, enables it to be used as an analgesic and antipyretic agent when you have high fever. Various studies conducted on the benefits of frankincense suggest that the anti-inflammatory nature of this herb along with the antibacterial properties enable it to ease bronchial infections. It eases the contraction experienced by the blood vessels by lowering the inflammation. Thus, it improves the flow of blood to the bronchial region, offering immense relief from pain experienced due to the condition. The antibacterial properties of Salai guggulu enable it to be used as a natural cure for bad breath triggered by gum diseases. Gum disorders cause inflammations, which in turn triggers bad breath. Once the inflammation is eased, and the bacteria are eliminated, the bad breath automatically ceases. 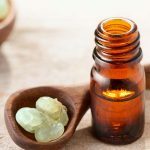 Add two to three drops of the oil of Boswellia to lukewarm water and gargle twice a day for faster relief. Certain studies point out that this herb has diuretic properties also. This, along with its anti-inflammatory and anti-bacterial nature, treats urinary tract infections. Studies suggest that this herb can be used to pep up the concentration and intelligence levels. Thus, it acts as a tonic for the brain. Shallaki is known to possess aphrodisiac properties. Ayurveda suggests that regular ingestion of this herb helps in improving the fertility levels in male by enhancing the quality and count of sperm. Not for nothing is frankincense oil known as the king of all essential oils! With such amazing benefits, frankincense truly deserves all the kudos it gets. Frankincense oil is good for your uterine health. It controls the production of estrogen. This prevents the chances of cyst formation in the uterus and post menopause tumors, known as uterine cancer. It keeps the uterus healthy by managing regular menstrual cycles. It also treats stressors and other gynecologic conditions. Some doctors use frankincense oil to treat uterine hemorrhaging and heavy menstrual flow (1). The oil has also been found to purify mucous membranes in the uterus (2). Frankincense oil contains astringent properties (3). It is known to strengthen hair roots and contract the blood vessels, intestines, and muscles. It also strengthens the gums and helps prevent premature hair loss. The oil is also used to get relief from diarrhea. It acts as a coagulant and helps in slowing down bleeding in cuts and wounds (4). Frankincense essential oil has powerful antiseptic qualities that help treat a number of oral problems, such as toothaches, mouth sores, and mouth infections. It also has been found to give relief from halitosis or bad breath (5). When infused in air or applied on the base of your neck, frankincense oil can improve your focus and mental attention (6). Frankincense oil is a great boon for people suffering from severe acidity and indigestion. The antacids or other digestion medicines only overpower the symptoms. But frankincense oil can make the digestion process easier, and works much better than antacids. The oil fastens the secretion of gastric juices in the stomach and makes the movement of food through the intestines easy. It also enhances the digestive system by detoxifying bowel movements (7). Many studies and researches have proven that frankincense oil has cancer-fighting properties. It has been known to effectively kill bladder cancer cells. Frankincense oil exhibits cytotoxic and cytostatic activities in several human cancer cell lines, such as the cells of leukemia, melanoma, hepatoma, colon cancer, prostate cancer, fibrosarcoma, and pancreatic cancer. Chemical extracts of frankincense resins also possess anticancer activities. In one study, the active ingredients in frankincense oil were found to activate an immune cell attack against the cancer cells (8). The oil may also be used internally, aromatically, or even topically for treating different forms of cancer (9). Frankincense oil is also used to treat depression since it contains sesquiterpenes (10). These sesquiterpenes stimulate the limbic system present in the brain – the penial, pituitary glands, and the hypothalamus. The hypothalamus is a master gland that produces several important hormones, such as growth hormones and thyroid. Frankincense oil has been found to eliminate gas from the body and prevent its build-up. This, in turn, prevents the onset of several other related issues like abdominal pain, heaviness in the chest, abnormal sweating, etc. Do try this amazing gift of nature for a healthier, more beautiful you! Do write back your feedback in the comments section below.